Dr. Mary-Elizabeth Brown enjoys successful parallel careers as a performer and pedagogue. She is a sought-after teacher, clinician, adjudicator and speaker in Canada and abroad. As a private studio teacher, her students have excelled in both exams and competitions, and have been accepted into Canada’s major post-secondary performance programs. 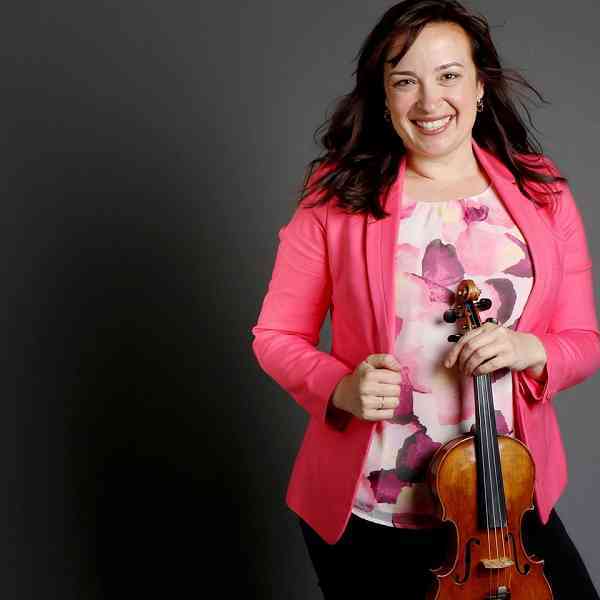 She holds the Bielak-Hartmann Concertmaster’s chair at the Ottawa Symphony Orchestra and maintains a busy schedule as a soloist. She is a member of the Royal Conservatory of Music’s College of Examiners. Mary-Elizabeth welcomes pupils ranging from “twinklers” to young professionals at her studio in Rosemont (Montréal) and via Skype worldwide. Cours également disponibles en français.